Posted on June 13, 2018. Subscribe to our blog by email. Beginning today, Starbucks customers across the U.S. can use the Starbucks mobile app to donate to urgent relief and recovery efforts in Guatemala following the devastating eruption of the Fuego Volcano which claimed more than 110 lives, with an estimated 200 people still missing. The Starbucks Foundation will also donate $100,000, with all funds going to CARE to provide food, water, sanitation kits, clothing and blankets. Customers can also donate online at www.care.org/starbucksCAREs. 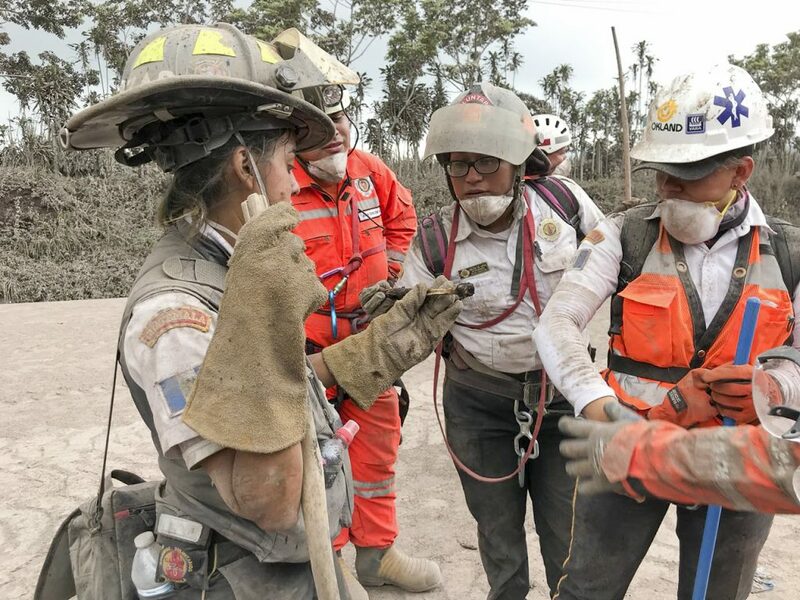 A Guatemalan search and rescue team operates in El Rodeo, Escuintla, 22 miles southwest of Guatemala City, after volcano Fuego’s June 3 eruption, which has forced families from their homes, damaged crops and affected 1.7 million people. Photo courtesy of CARE.